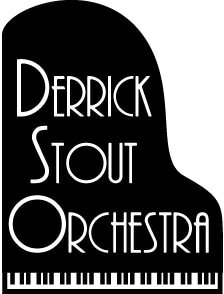 Derrick Stout built his career on the success of his first CD entitled Deerpath. The solo piano album was pressed 5 times, which gave the foundation to Deerpath Music as its own record label, as well as Darwin Records recording studio and record label. The piano music was compared to Eric Satie & George Winston, and evoked a theme of the North Shore of Chicago where Derrick grew up. Derrick (aka Suede) also performs as a acoustic soloist / singer songwriter. Vocal Acoustic Duo can be a stand alone engaging performance as well as a pleasant background musical experience. With the highest quality of musicianship we can guarantee that there will be something for everyone to enjoy. What if you could have Harry Connick Jr. play at your special event? What if you could have had Frank Sinatra sing at your wedding? Derrick Stout can make you feel as if you have one of these celebrities performing for you. He has sold over 100,000 CDs. He’s composed over 500 musical pieces and produced music for major motion pictures, television & radio. In the last few years he & his players have performed with such musicians as Sir Paul McCartney, Sir Elton John, Sheryl Crow, Neil Young, Eric Clapton, Billy Joel, Willie Nelson, Sting, and have been members of such bands as Garbage, Brian Wilson, Filter, & Smashing Pumpkins, just to name a few. We’re not a band that wishes we were in the music industry--we’re a band that IS the music industry! And we’d be happy to perform at your wedding or corporate event! ​The Love is a Beatles tribute band made up of some of Chicago's most talented players. Where other tribute bands might have to settle for lesser players to "get someone who looks like Ringo", we don't need to wear wigs or costumes--we just reproduce the music of this incredible band with immaculate warmth and groovy precision. Think "Beatles with an edge", and know that if the Fab Four were still touring today, this is how they would want to sound. Suede Stout, who has been GRAMMY considered 7 times has personally sold over 80,000 CDs. Scott Bennett has won 2 GRAMMYs , and has been called the most talented musician alive by legends Brian Wilson, Sir Paul McCartney and Stevie Wonder. Matt Walker is listed in the top 5 drummers in the world today. He also writes and scores films, TV & commercials alone and with his partners in www.darwincustommusic.com. Dan Polonsky not only knows every song ever written but can play them in any key, on upright, fretless and electric bass with his eyes closed and both hands tied behind his back.